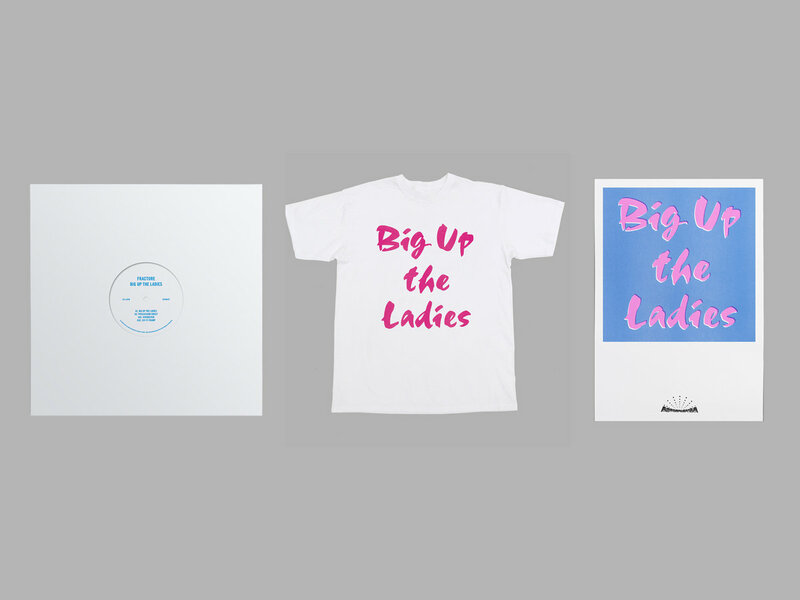 Limited Edition T-Shirts. 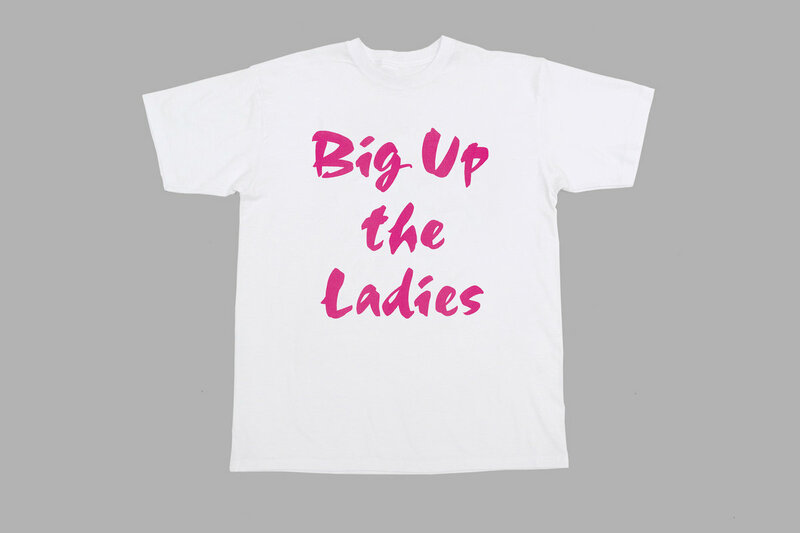 "Big Up The Ladies" design, High quality Screen Print with oversize large print on white US Import AAA Alstyle 1301s : 100% cotton jersey T-shirts with set-in rib collar with shoulder-to-shoulder taping and Double-needle sleeve and bottom hem. 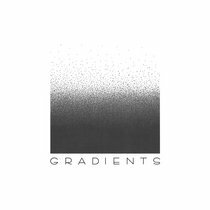 Preshrunk to minimize shrinkage and with tear away label. 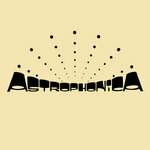 Designed by UTILE. 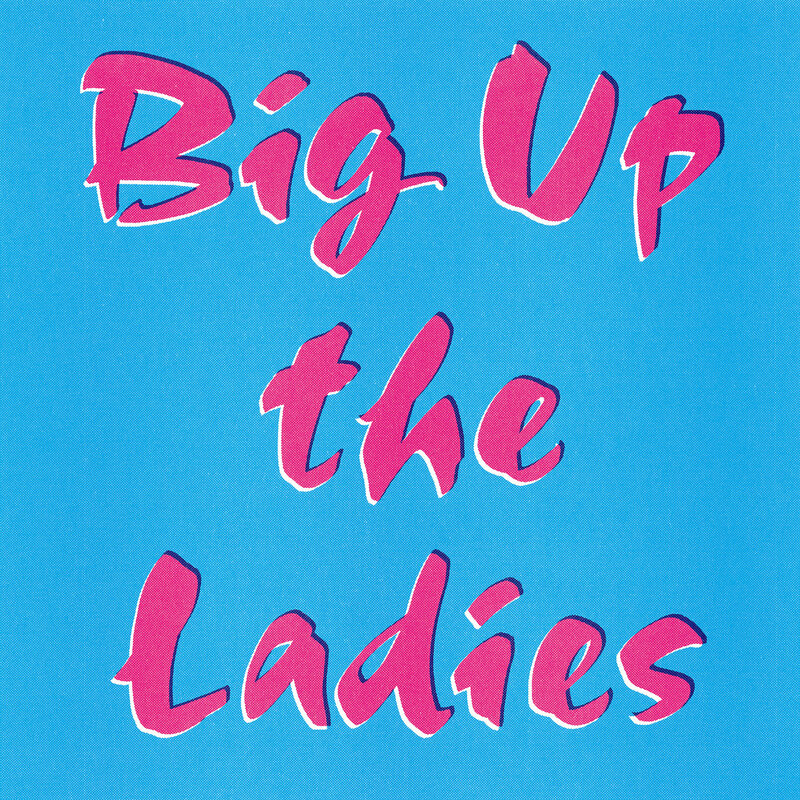 Includes unlimited streaming of Big Up The Ladies via the free Bandcamp app, plus high-quality download in MP3, FLAC and more. 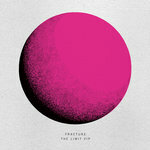 Fracture returns to the fast lane in 2019 with "Big up the Ladies" EP - four fresh and futuristic, genre defying cuts that pivot for the Dance Hall and build on the momentum of the London producers recent ‘turbo’ experiments including the turbo-berghain-esque Dropping You (Gradients Vol.2 on Astrophonica) and Turbo Toms (Soundboy Get Nervous on Exit Records) . 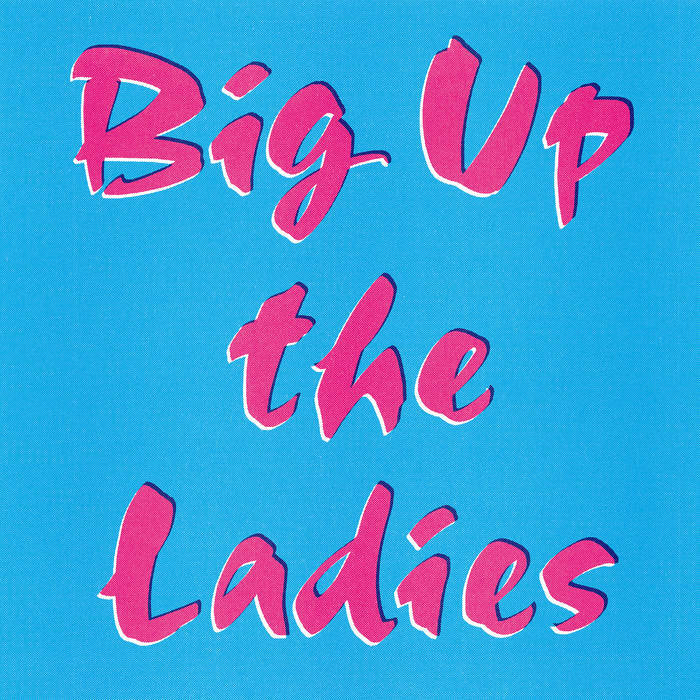 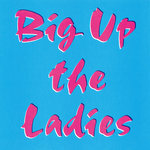 Title track "Big Up The Ladies" is a positive party starter full of swagger and powerful hooks on top of a driving 4/4 kick and half time clap rhythm. 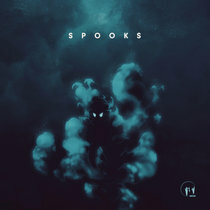 "Percussion Sweet" continues the fresh patterns while adding edgy vocal stutters and a searing reese breakdown propelling the listener towards a perilous mix of jacking 909 hi hats and trademark bass stabs. 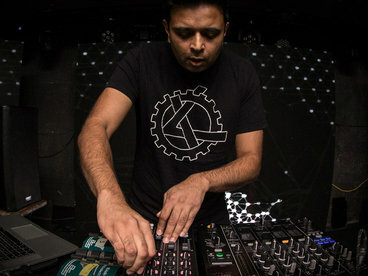 Turbo in full swing. 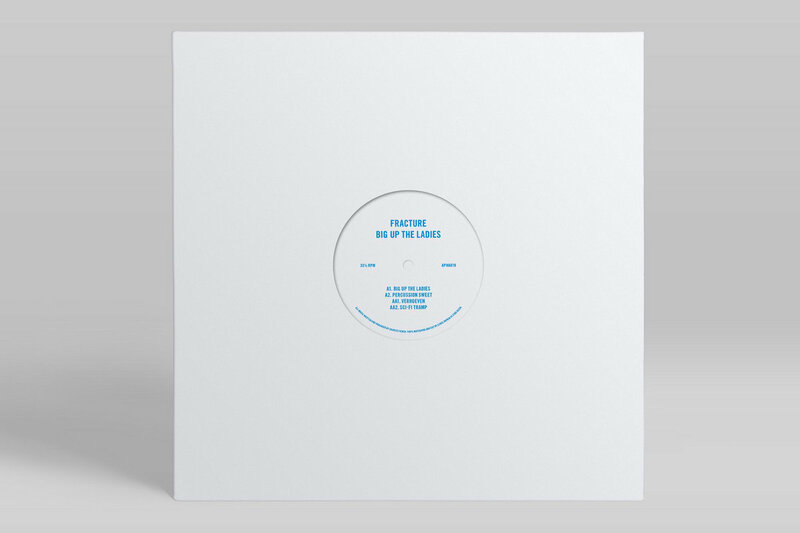 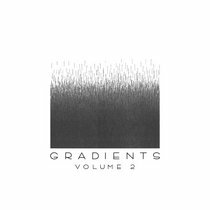 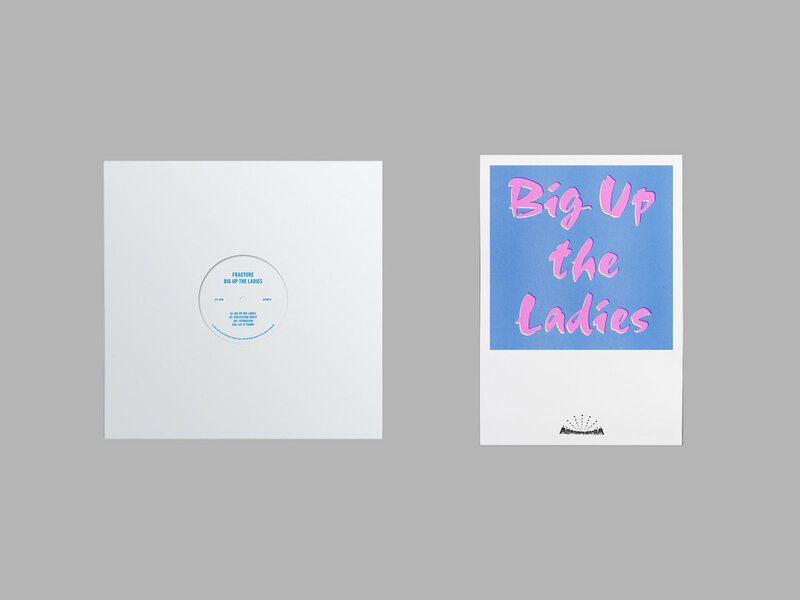 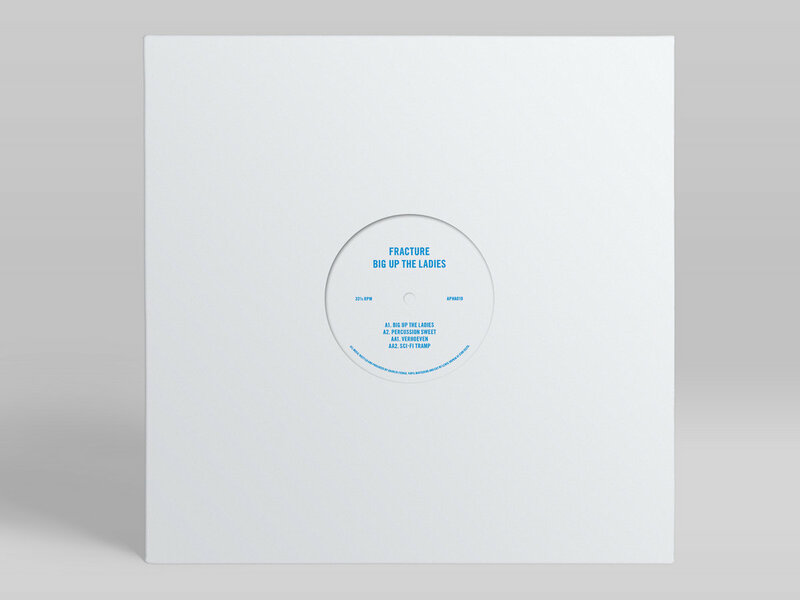 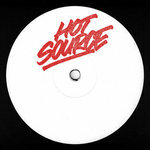 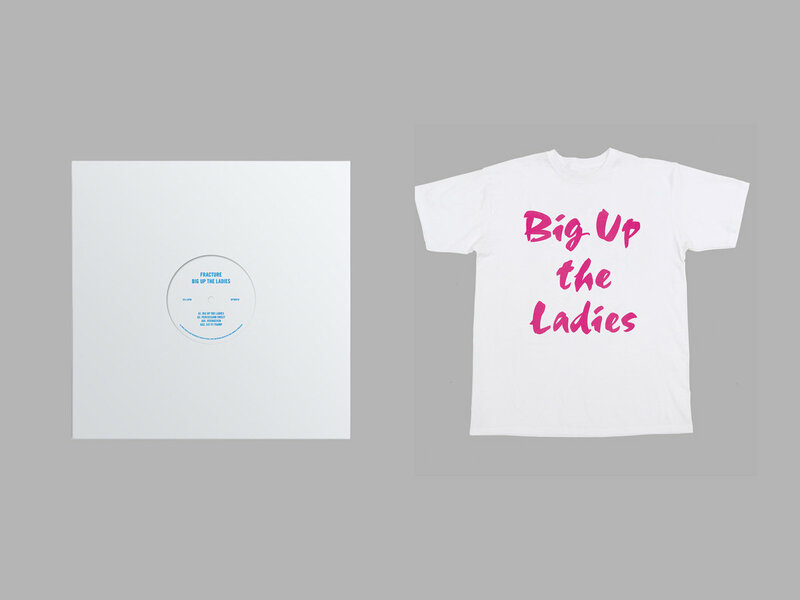 Big Up The Ladies is released on 12" & Digital on 12th April 2019 on Fracture's own Astrophonica imprint and follows the label's huge Fracture curated "Gradients Vol.2" compilation featuring Luke Vibert, DieMantle (DJ Die & Dismantle), Dream Continuum (Om Unit & Machinedrum), Falty DL, Fracture, Taso (Teklife), Sully, Moresounds, Proc Fiskal (Hyperdub), Sam Binga, Lewis James, Rider Shafique and more. 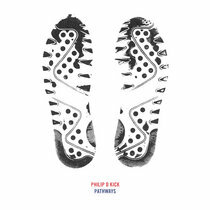 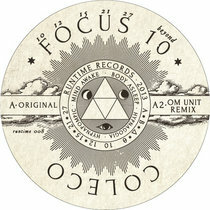 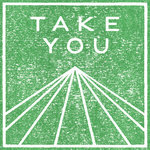 As ever the release is accompanied by ever incredible art and design from Utile. 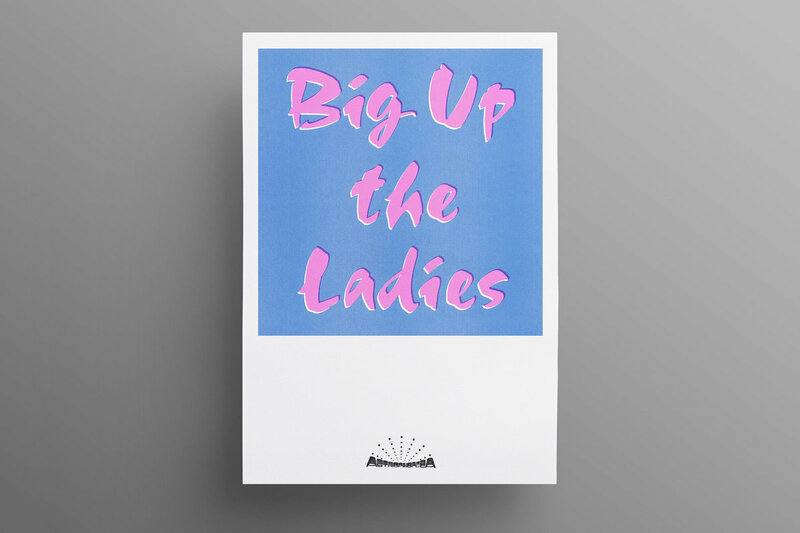 And.... Big Up The Ladies! 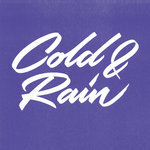 Written & Produced by Charlie Fieber. 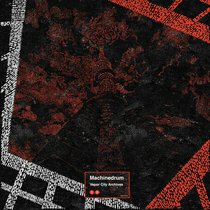 Mastered by Robert Macciocchi at SC Mastering. 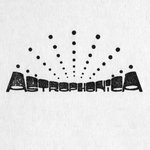 Vinyl Mastering & Cut by Lewis Hopkin at Star Delta.